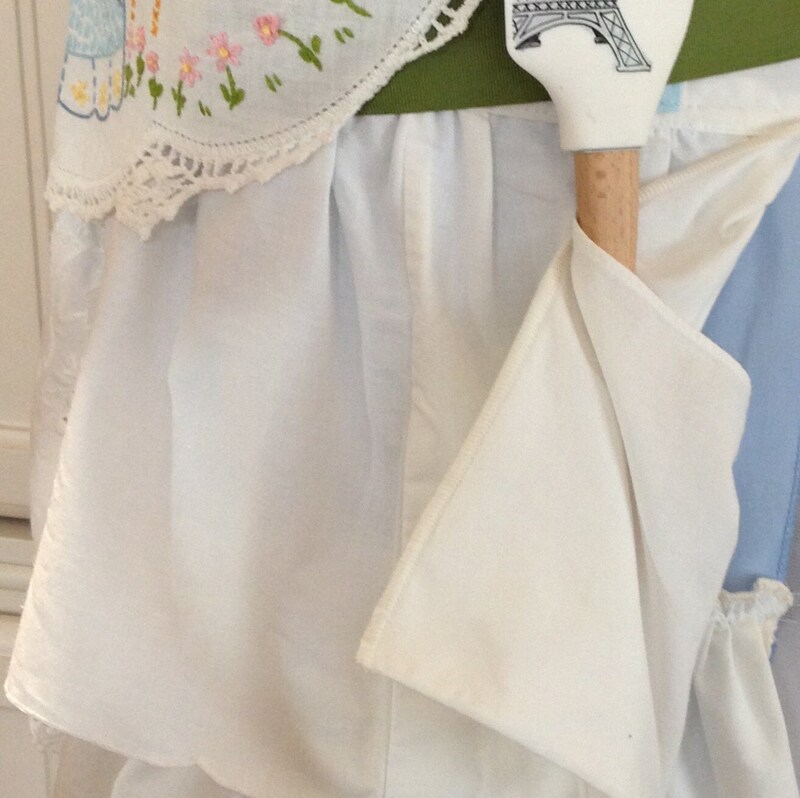 This apron is hand made using vintage crocheted and embroidered pillowcases, a blue sheet with white eyelet trim, and a vintage embroidered table runner that needed to be given a renewed purpose. 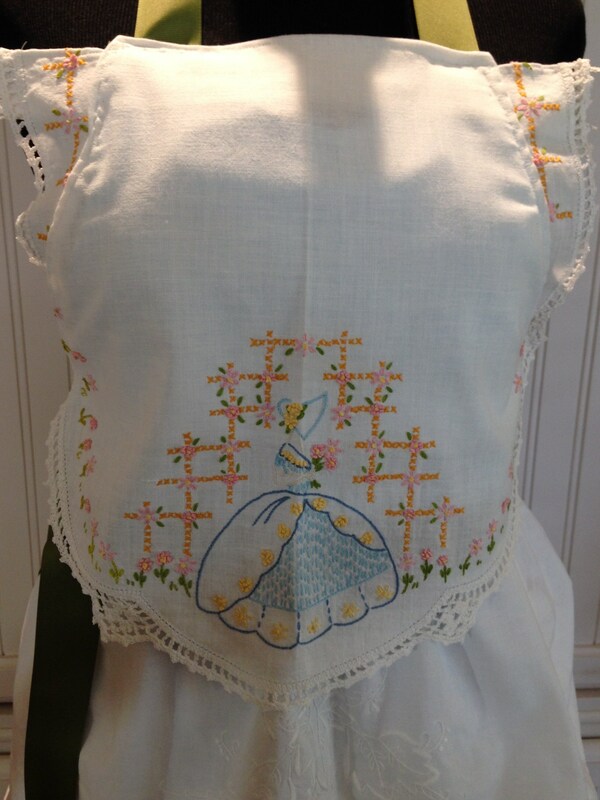 The bodice overlay is made from the table runner and is embroidered with a vintage sun bonnet sue and flowers as well as crocheted edges. 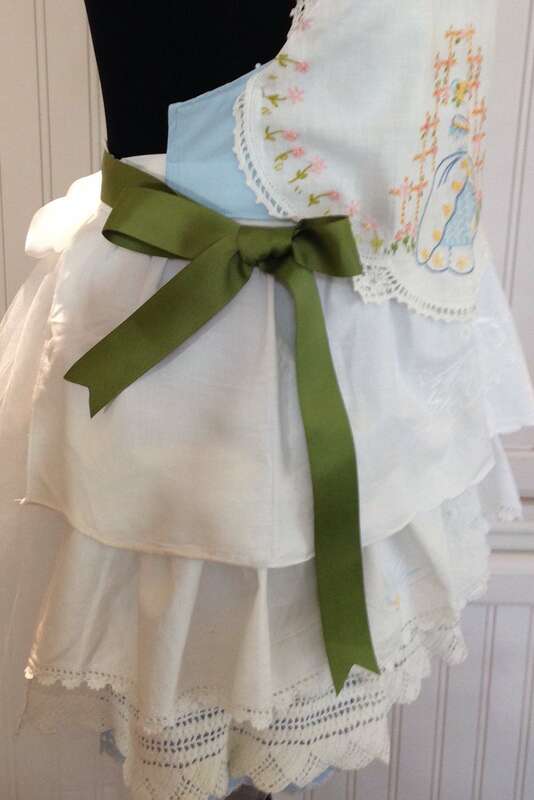 The neck and waist ties are green grosgrain ribbon and are extra long allowing for a bow in back, in front, or on the side as pictured. 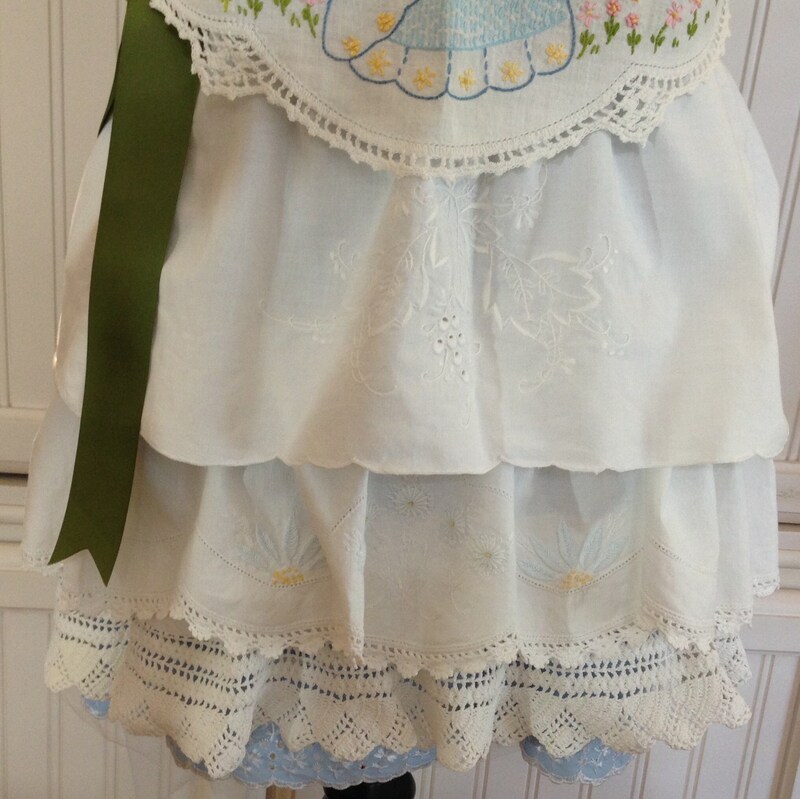 Each ruffle has its own special charm. 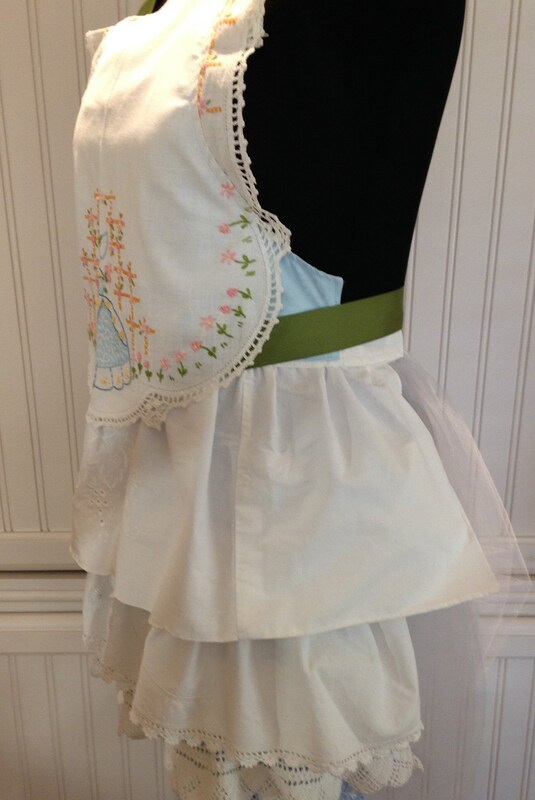 The top ruffle even has a pocket built into the edge just perfect for your cell phone. 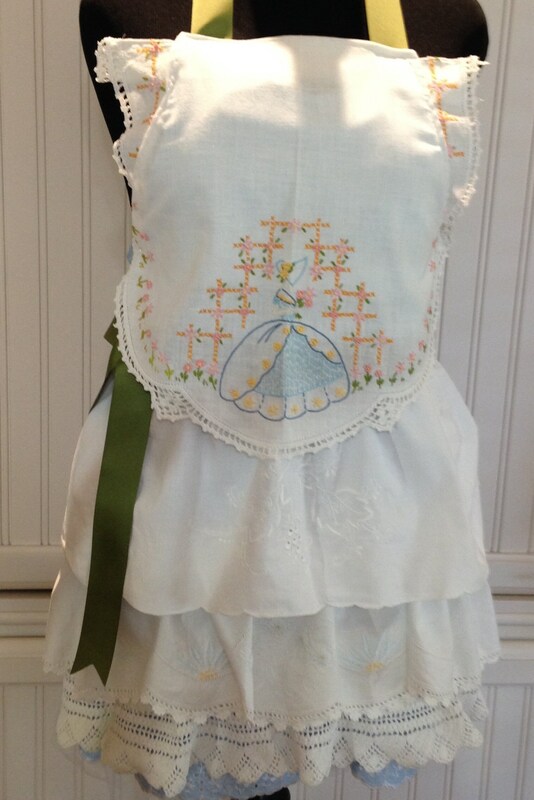 The embroidery on these ruffles is more muted, but very beautiful. 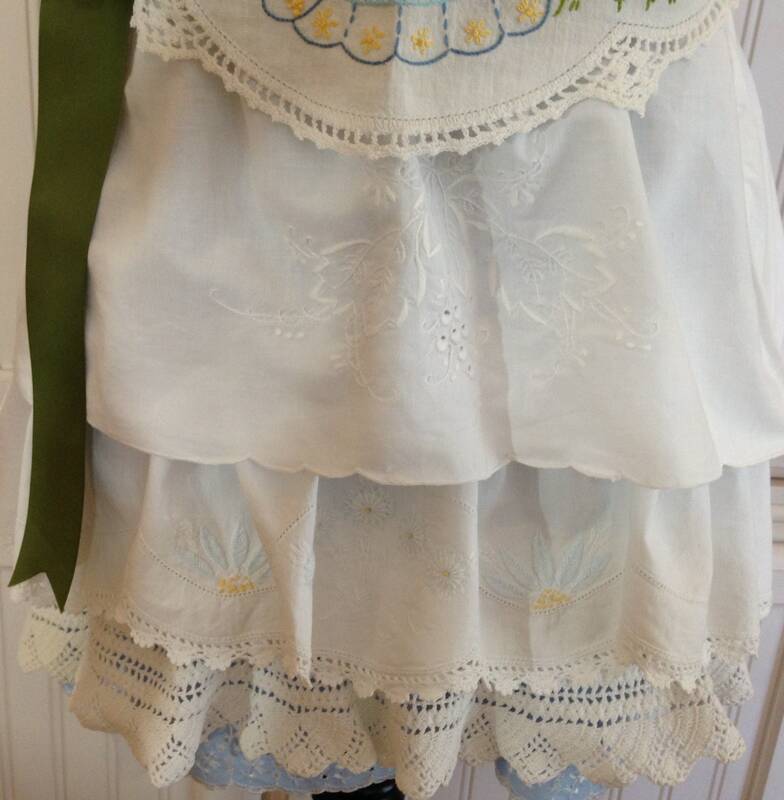 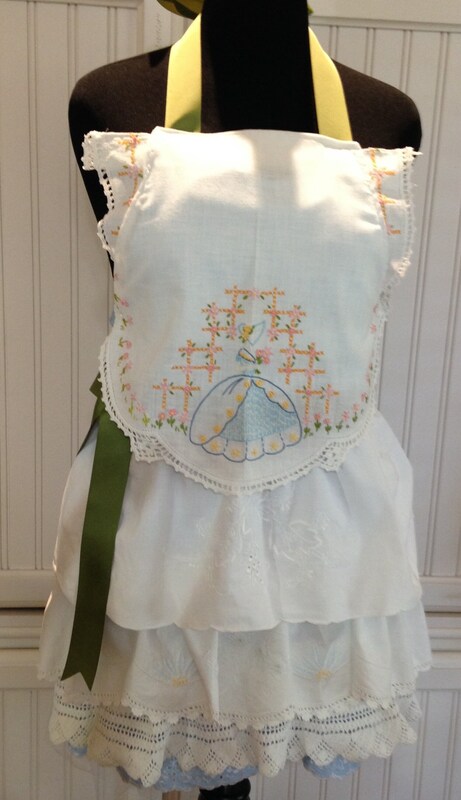 The apron ruffles are cut a bit longer to preserve the beautiful embroidery and crochet work and makes this apron extra special. 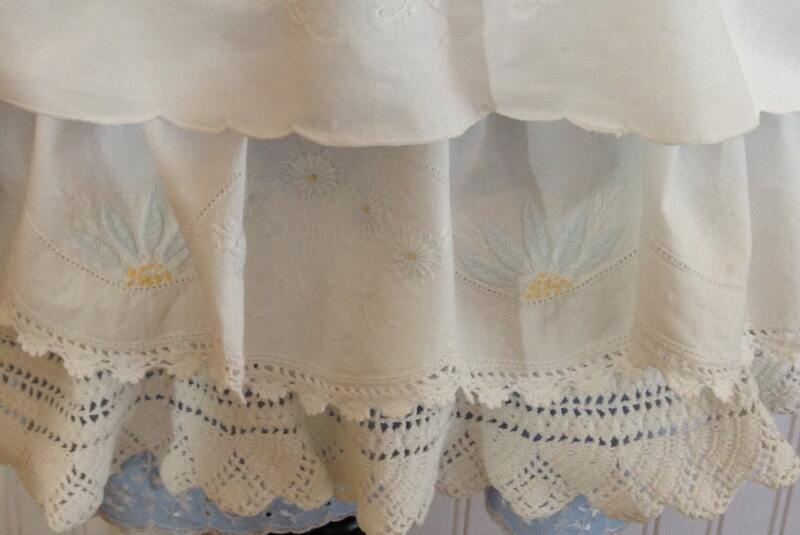 Don't forget to look closely at the bottom and you will see the white eyelet trim on the blue sheet lining peeking out. 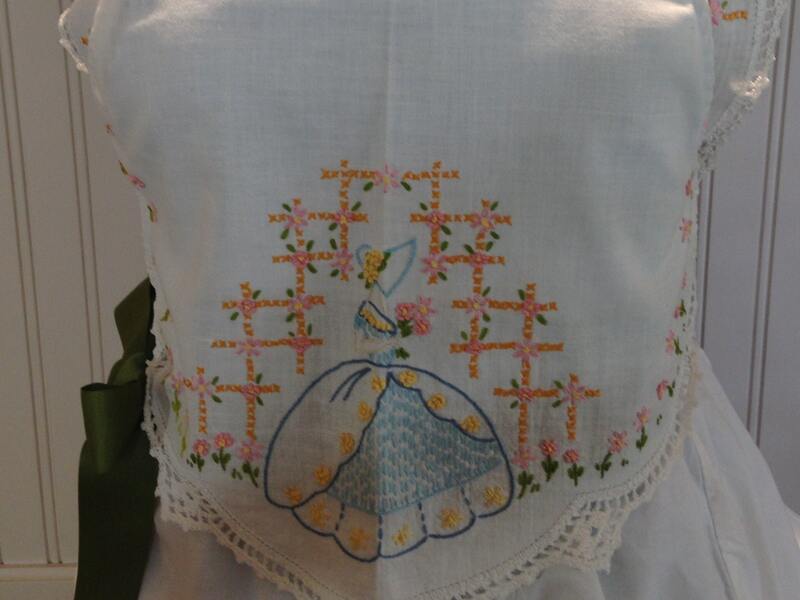 Vintage full apron shabby chic Blue pink green crocheted embroidered pillowcase embroidered table runner green grosgrain ribbon ties.